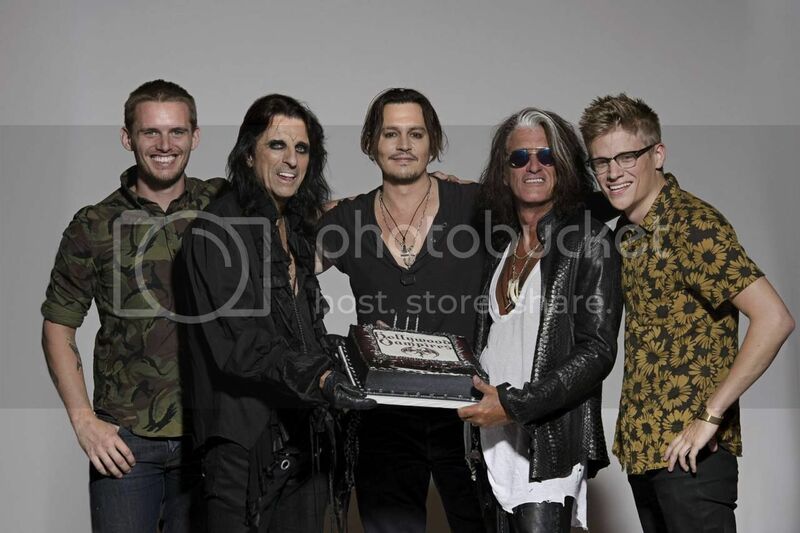 Johnny is a founding member of the Hollywood Vampires, along with Alice Cooper and Joe Perry. The band was formed in 2015 and released a self-titled album that year. They continue to play live shows. In the 1970's, a bunch of rock stars used to get together to drink. 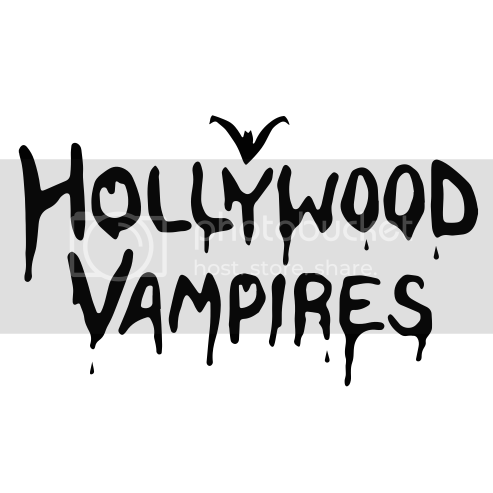 They called themselves The Hollywood Vampires. 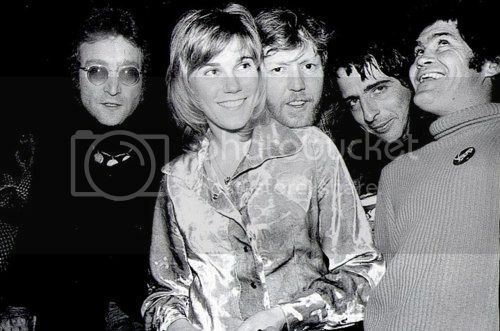 This drinking club consisted of stars such as John Lennon, Ringo Starr, Keith Moon, Harry Nilsson, Micky Dolenz, Bernie Taupin, Keith Emerson, and Alice Cooper, who also had a softball team that played for charity. 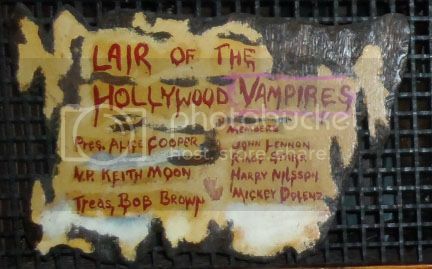 The meeting place of choice in LA was the Rainbow Bar, which still has a plaque dedicated to the "Lair of the Hollywood Vampires." Alice Cooper never forgot those days, and as he explained to Rolling Stone in 2013, "We do a thing in our show, which is a tribute to Hollywood Vampires, my drinking club. 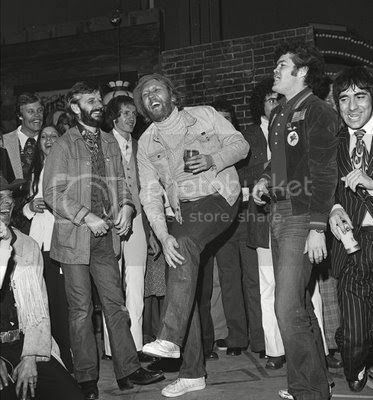 And it was Keith Moon, John Lennon, Harry Nilsson, Micky Dolenz – a very eclectic bunch of drunks. Half of them are dead, so we do four songs in the show in tribute to them. We do 'Break On Through,' 'Revolution,' 'My Generation' and Jimi Hendrix's 'Foxey Lady.'" 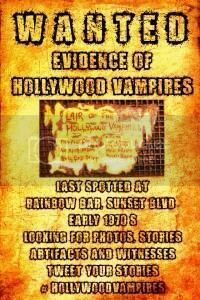 In 2014, Alice put up a plea on his official website, asking for "Proof of Vampires," asking for stories and photos of those days. Micky Dolenz was also reported to be in talks to be part of a planned documentary about the club, according to stories at The Mac Wire and Classic Rock. 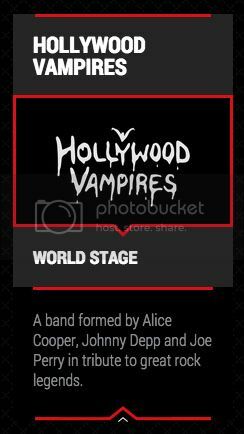 On February 13, 2015, the Rock In Rio festival made a surprise announcement via G1 Globo.com that a Supergroup formed by Alice Cooper, Joe Perry, and Johnny would play at 2015's festival on September 24 under the name of the Hollywood Vampires. 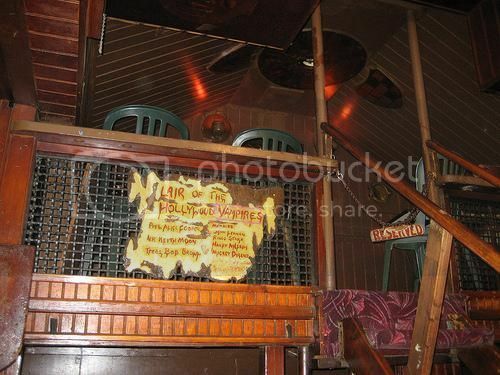 Alice is shown there in a brief video announcing himself, Johnny and Joe and "our band of misfits." This announcement was soon confirmed by Alice's twitter and facebook pages and confirmed by Rolling Stone and blabbermouth. On March 5, Rolling Stone also reported that according to Joe, there would also be tour dates. 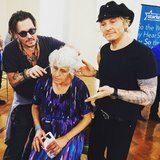 Johnny, Alice and Joe have performed together a number of times over the past few years. 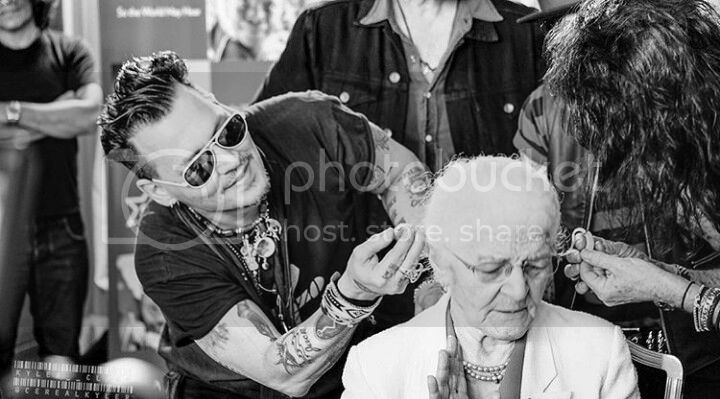 Johnny's first appearance with Alice was at the 100 Club in London on June 26, 2011, during the filming of Dark Shadows. Both Alice and Joe joined Johnny at a Dark Shadows premiere afterparty on May 7, 2012. 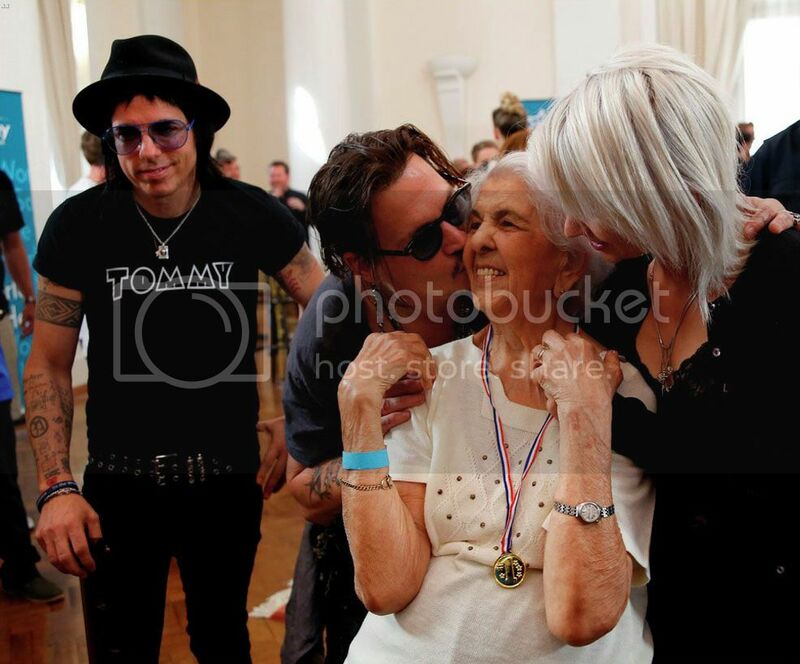 Since then, Johnny has played with Alice several more times, usually guesting on Alice's "dead friends" tribute section of the show. Johnny has also guested with Aerosmith several times. So, they've had plenty of practice together! 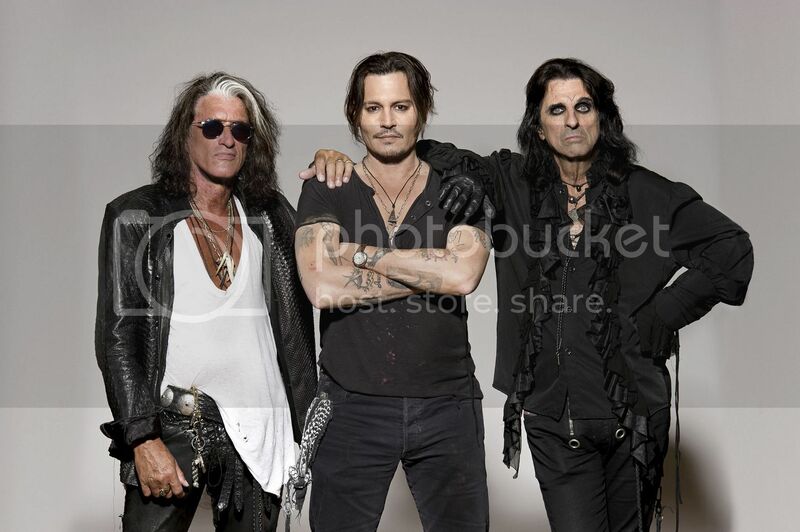 The Rock In Rio announcements mentioned that a Hollywood Vampires album would also be released. 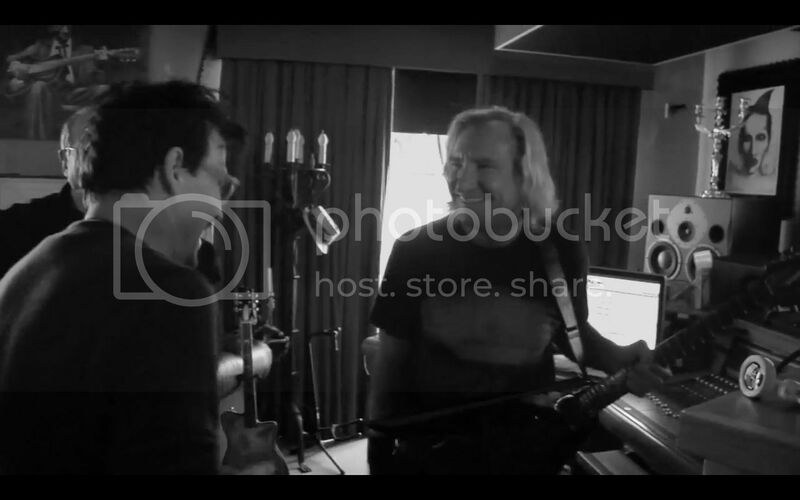 For years, Alice had been talking about recording with Johnny for a new album. In January 2013, he told the Desert Sun (no active link), "Yeah, right, we're writing for my new album. He came up with a good song- a really good song. Yeah, he wrote it- I wrote the lyrics, he wrote the music, and it's really gonna be good. It's the title track, actually, for the new album." A year later, he told blabbermouth, "We have no release date on that. It's done; the album is done. And I can't tell you who's on it or what the songs are, because it's probably not gonna come out until the fall or the beginning of next year... We'll release, I think, parts of it. The music business is so different now. You don't release a single and then put the album out; you just kind of release songs out there and then you have an album. There will be an album; it's fully done and ready to go. And the lineup is jaw-dropping; the people who are on this album... [The album will include] four or five new songs. 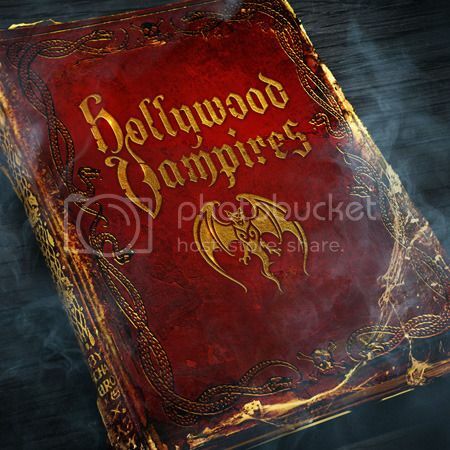 We decided that in order to set up the 'Hollywood Vampires' thing, you had to kind of tell the story, and you had to write songs that were going to set up the story, and then get into the covers. So we had fun sitting there writing these new songs around it. So it's going to be quite a package, this thing is." that sing, now we need a drummer and a bass player, and then everybody started emerging. We just rocked it." 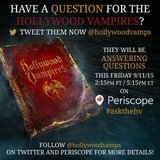 Hollywood Vampires was released on September 11, 2015. Johnny participates on every track, and co-wrote three tracks for the album: The Last Vampire, Raise The Dead and Dead Drunk Friends. The album debuted in the #43 position on the Billboard 200 chart, and #8 on the Top Rock Album chart. 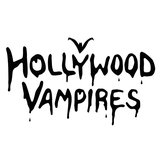 On about August 1, 2015, a website was established for the band: hollywoodvampires.com. The site shows the album cover and release date, an "about" page written by Bernie Taupin in July 2015 that also appears in the liner notes of the album, a social wall, videos, and pages for the album, news, and tour dates. Two tour dates were announced in addition to the Rock In Rio gig: Sept. 16 and 17 at The Roxy in West Hollywood. All three shows were an unqualified success, featuring guests such as Tom Morello, Kesha, Perry Farrell and Geezer Butler in the US, Lzzy Hale and Andreas Kisser in Rio, and Zak Starkey at all three shows. 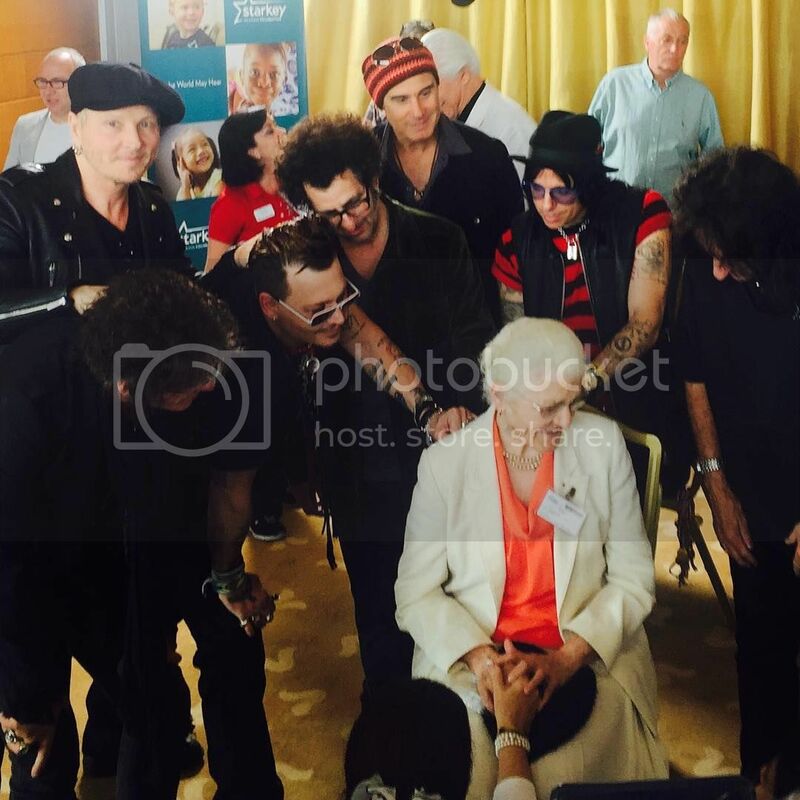 Before the Rock In Rio show, several members of the Hollywood Vampires attended an event held by the Starkey Hearing Foundation (no relation to Zak Starkey) to provide hearing aids to about 200 folks of all ages. Some of these recipients went on to attend the show. 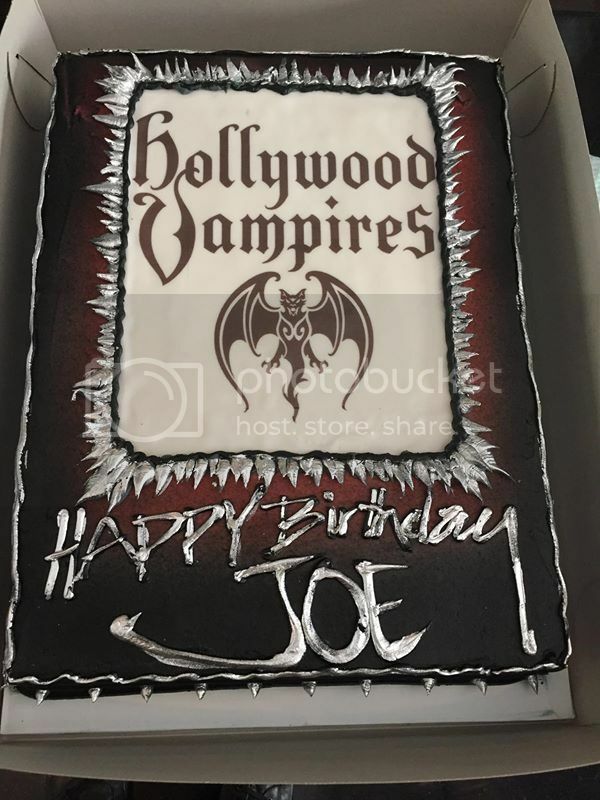 The first items to be sold at the Official Hollywood Vampires Store were a T-shirt, a tank top, and a poster from the September 2015 Roxy shows. An item that likely won't be sold in the store is a custom skull ring that was designed by Stephen Francisco, aka rebellioussoul925 for Johnny, Alice and Joe. Francisco posted descriptions of his design on Instagram here and here in early 2016. Hopefully, we will see the trio wearing these rings. 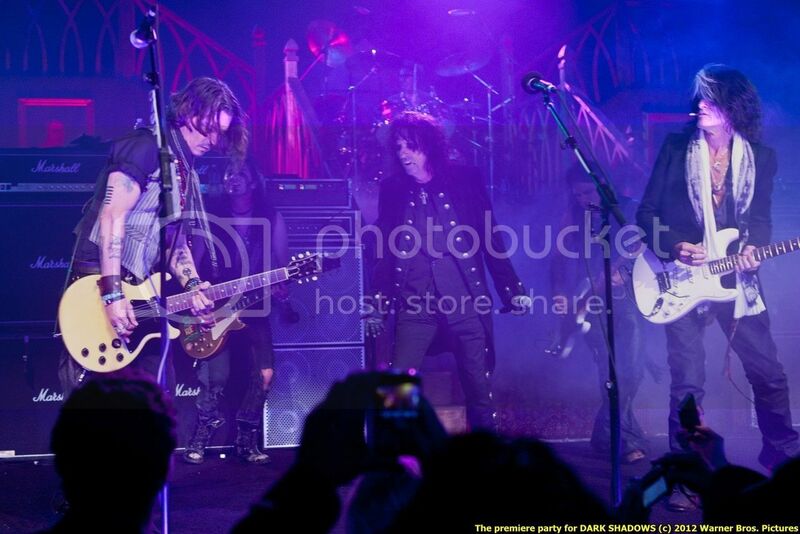 On February 15, 2016, the Hollywood Vampires made their television debut at the 58th Grammy Awards. 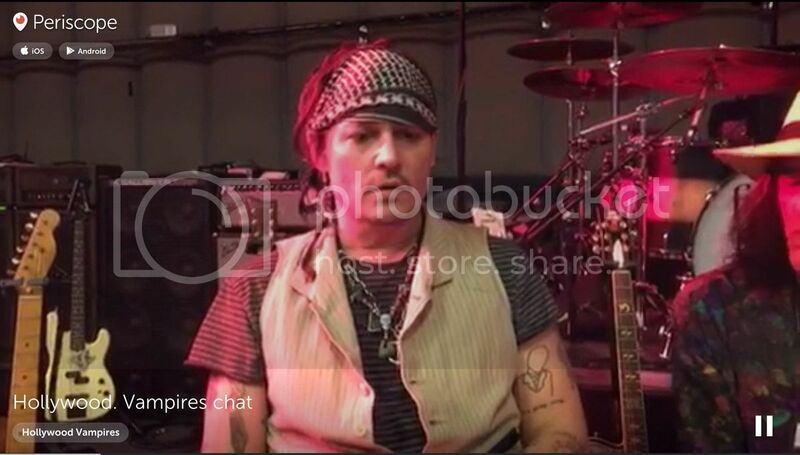 In an interview with USA Today, Johnny vowed "to explode heads" at the show. Another YouTube interview with Artisan News Service also included some rehearsal footage. Their 7 minute performance included As Bad As I Am and Motorhead's Ace Of Spades. An extremely favorable review of the performance was published in The Village Voice. As far as recordings, Joe tweeted on October 20, 2015 that he was hanging out with the Vamps, and Matt Sorum posted some photos to Facebook that same week. More photos of the Vamps in Johnny's studio were posted by Ross Halfin during the fall of 2015, giving rise to hopes that they might indeed be recording for a new studio album. On February 4, 2016, it was announced that a digital Deluxe Edition of Hollywood Vampires would be released on February 12. The new edition contains all the tracks from the original album, plus 3 additional songs: covers of The Who's I'm A Boy and Love's 7 And 7 Is, and a new original song called As Bad As I Am. In an interview with Rolling Stone, Alice explains that the song's chorus "Here's to you, as good as you are/ Here's to me as bad as I am" – came from Johnny. 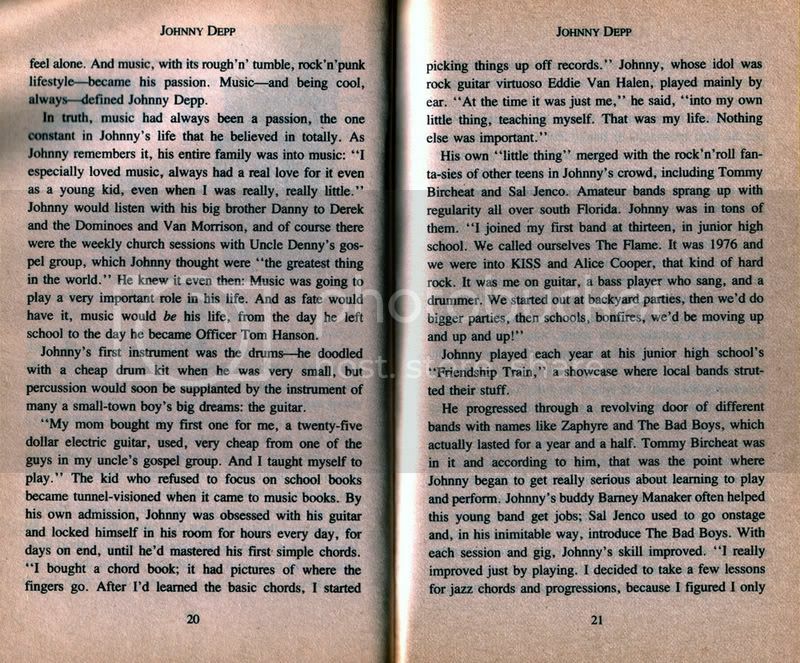 "Johnny says to me, 'My dad was a bit of a rounder, one of those guys that was in and out of trouble all the time. During Thanksgiving or Christmas, when we'd toast, he'd say, 'Good as you are, bad as I am.'" The song was co-written by Johnny, Tommy Henriksen, and Bruce Witkin. Another Rolling Stone article confirmed that the Vamps are working on a new album. In late November, 2015, it was announced that the Hollywood Vampires would play at Rock In Rio in Lisbon, Portugal on May 27, 2016. See the announcement from Alice Cooper. In early 2016, two additional shows were announced: a gig at the Turning Stone Resort Casino in Verona NY on May 24, and a performance on July 14 at Rock Fest in Cadott, WI. They were also originally scheduled to play at the Ravinia Festival in Highland Park IL on July 17, but that gig was cancelled. By late March, a number of additional shows in both the US and Europe were announced. The Hollywood Vampires Raise The Dead tour consisted of 23 shows from May through July of 2016. 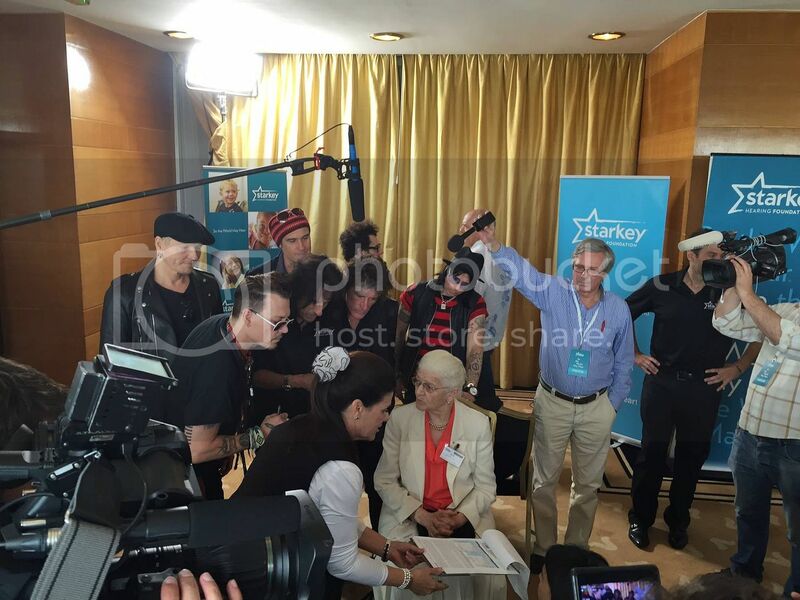 In addition, the Vamps once again supported the Starkey Hearing Foundation by attending an event in Lisbon before the Rock In Rio show on May 27, and performing at their Annual Gala in St. Paul, MN on July 17. Since Duff McKagan joined the Guns N' Roses "Not In This Lifetime" Reunion Tour in 2016, he was not able to tour with the Vamps this time. Instead, Robert DeLeo of Stone Temple Pilots took over as the new bassist. 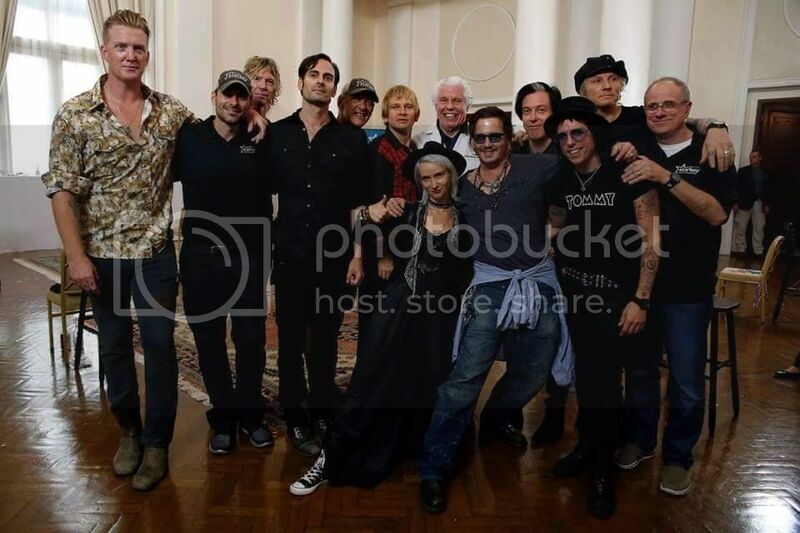 The rest of the touring band remained the same (Johnny, Joe Perry, Alice Cooper, Matt Sorum, Tommy Henriksen, and Bruce Witkin). The tour began at Turning Stone Resort Casino in Verona NY before heading to Europe for 5 shows. Johnny was originally scheduled to participate in the Reason Rally in Washington DC between the Denmark and Romania shows, but when he cancelled that appearance it left he and the Vamps with some extra time in Europe. The Vamps arrived in Bucharest on June 2; see a photo of the band getting off the plane in Bucharest. On Saturday, they visited Bran Castle aka "Dracula's Castle" (probably not truly the castle of Vlad The Impaler, but linked to Bram Stoker's novel and a popular Transylvanian landmark), where they were joined by Tim Burton; see an Instagram photo of the gang in the Land of Vampires. 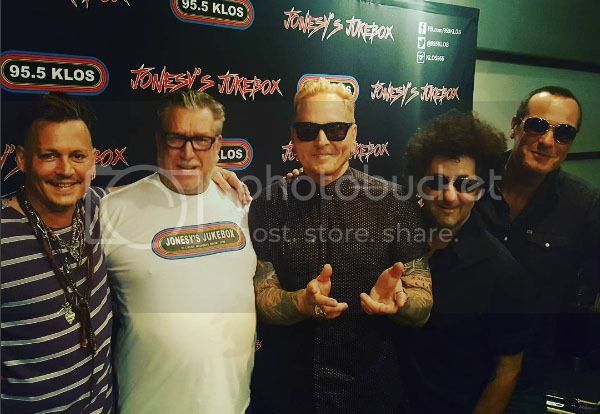 Prior to the start of the North American leg of the tour, Johnny joined Robert DeLeo, Bruce Witkin and Matt Sorum on June 27 in a radio interview with Steve Jones on Jonesy's Jukebox on LA's KLOS station. 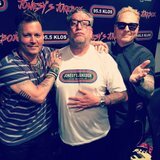 They discussed their musical background and the Hollywood Vampires 2016 tour, and briefly touched on Steve performing on the P studio album. 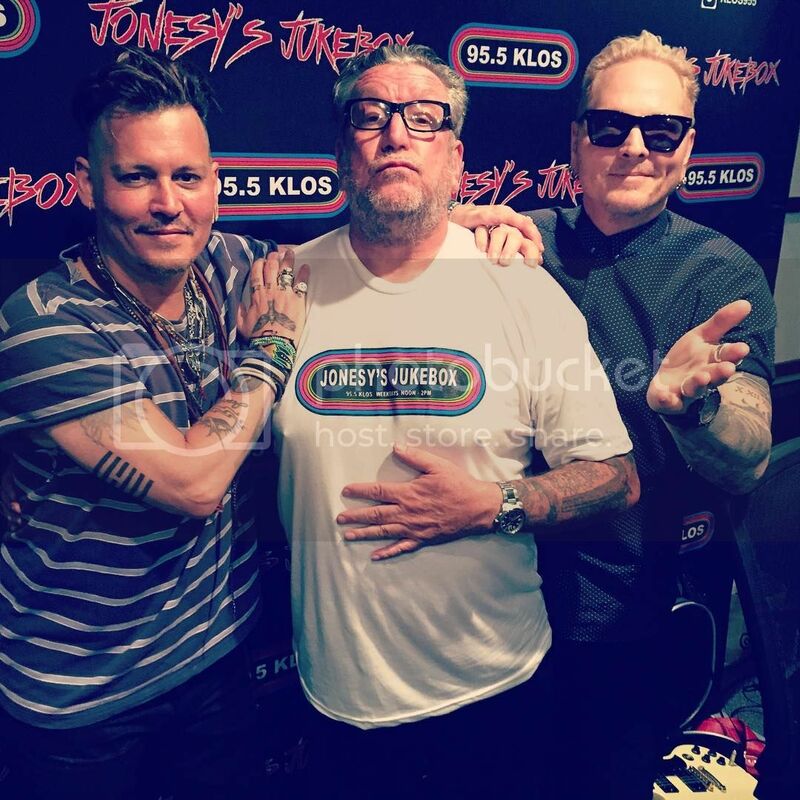 You can see and hear parts of the interview via KLOS's website. The tour then resumed at the Sands Casino in Bethlehem PA on July 1. On July 10 at the show in Coney Island, Joe Perry fell ill and collapsed during one of the first songs, I Got A Line On You. He was quickly taken to Coney Island Hospital where his condition was soon stabilized. He was soon moved to Columbia Presbyterian. Meanwhile, the rest of the band continued to play with only a few acknowledgements of Joe's absence. At one point, Alice said, "As you may have noticed, one of our brothers was very sick before the show, so we're improvising tonight." Later, he told the audience, "Everybody say 'Get Well Joe!'" 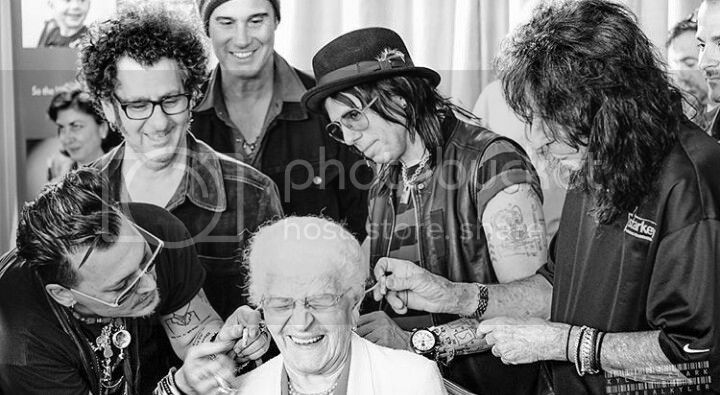 After the show, Alice Cooper tweeted: "Thanks to everyone asking about our brother @JoePerry. He is stable right now, with family & is under the best care." The next day, a planned performance on The Late Show with Stephen Colbert was cancelled, and there was some doubt about how the tour would proceed, if at all. 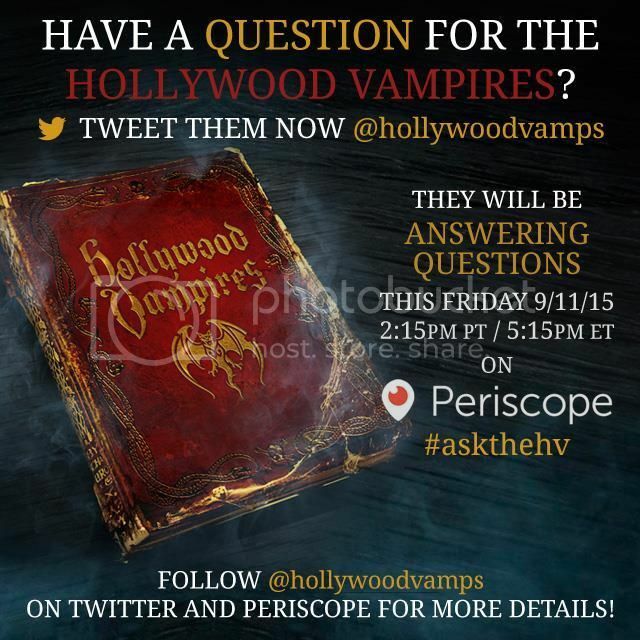 However, Alice tweeted again later that day: "Vampires! Confirmed - We WILL see you in Ohio tomorrow night & for the rest of our dates! Thanks for supporting Joe!" 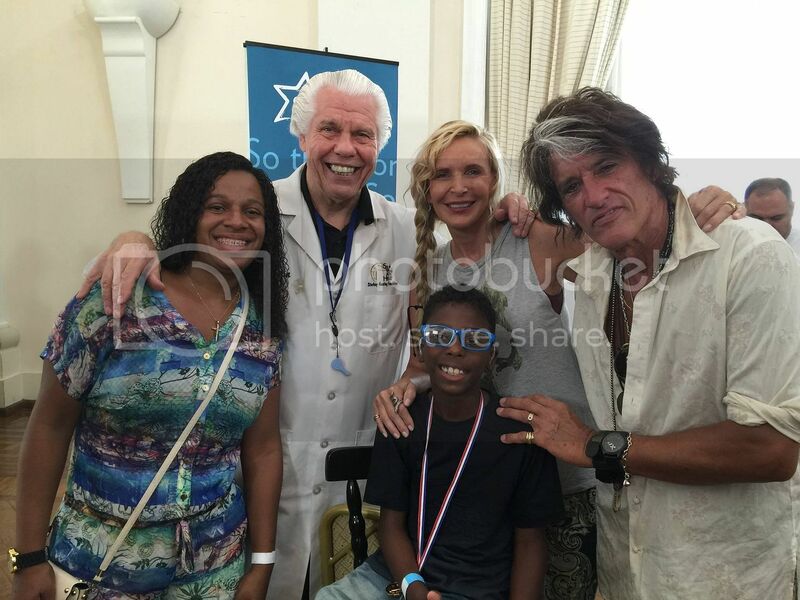 Joe reportedly was discharged from the hospital on July 14 or 15 and returned to his home in Massachusetts. On July 21, Alice finally tweeted the news we all wanted to hear: "Joe is back! @JoePerry returns to the @hollywoodvamps tour tomorrow, 7/22 & will be with us thru the end! 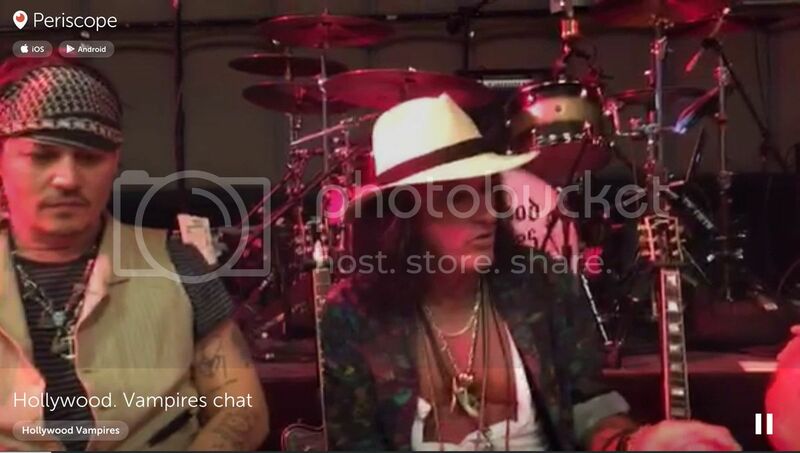 #joeperry" And indeed, Joe was back for the last 4 shows of the tour. A number of special guests came to sit in with the Vamps during the tour. Ian Hunter of Mott The Hoople fame joined the Vamps in Coney Island (the same night that Joe Perry fell ill) for Sweet Jane and All The Young Dudes. Robin Zander of Cheap Trick sang on Come Togerther at Soaring Eagle Casino & Resort, and Marilyn Manson guested on I'm Eighteen at Rock Fest. Johnny and Bruce's old friend Coz Canler of The Romantics joined the Vamps for Train Kept A Rollin' at DTE Energy Music Theatre. Finally, Phil Collen of Def Leppard and Eric Kretz of Stone Temple Pilots guested on School's Out on the final show at the Mid State Fair. 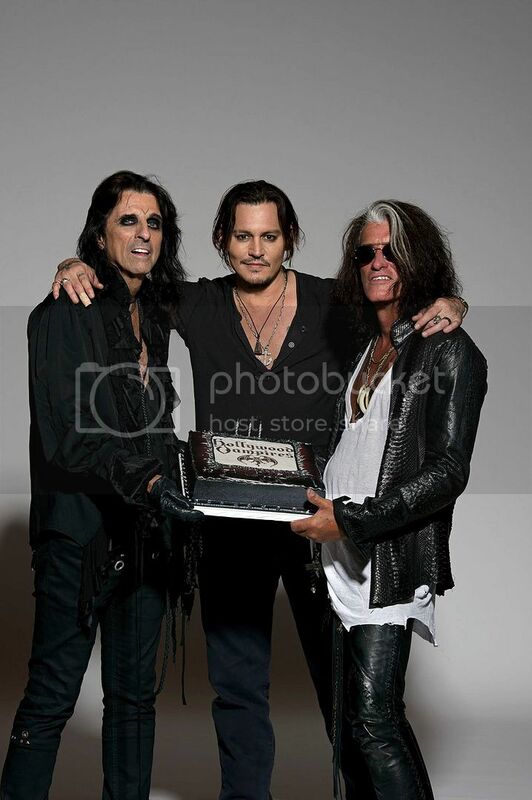 In the fall of 2016, Alice Cooper announced that the Hollywood Vampires would be headlining his 15th Annual Christmas Pudding show, which took place on Dec. 3 in Phoenix, AZ. The show has been put together nearly every year to benefit Alice Cooper's Solid Rock, a faith-based organization that offers a safe, engaging environment for at-risk teens during non-school hours by providing music, arts, vocational programs and fellowship. Since Matt Sorum and Robert DeLeo were touring with their other band Kings Of Chaos, Alice's drummer Glen Sobel and the Vamps' own Bruce Witkin took on all of the drum and bass duties for the Vamps' set. Sammy Hagar, the Gin Blossoms and Korn were also on the bill. Magician Murray Sawchuck and teens who won the "proof is in the pudding" talent competition also performed. 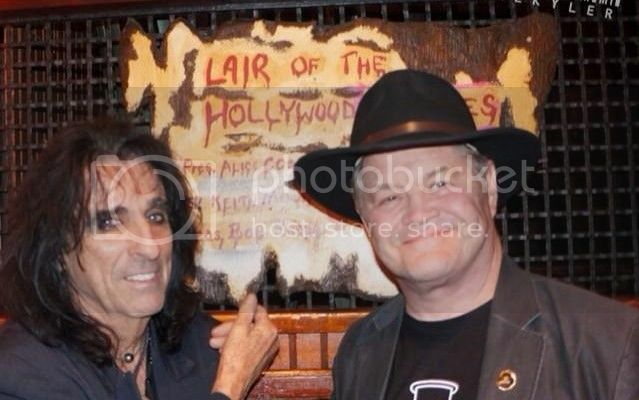 Guitars, paintings, and other memorabilia were auctioned off to further raise funds for Alice Cooper's Solid Rock, making the evening a resounding success! On a possible live album: "Well, you know we did tape every single show ( chuckling) because I think (it would be stupid not to. If you are running it through a board and everything like that, tape everything! You can go back in and instead of saying everything, 'This is live from San Francisco' what you say is 'This is live from the tour'. Take the show from the Detroit because that was the best version of that song, take the show from Philadelphia because that was the best version of this song. And then you can say, ‘it is live from that tour'. That way you get a really LIVE album. You don’t just get a live album that everybody goes back into and fixes." On a possible studio album: "You know, when you get five or six, or seven musicians together, they’re always writing. They are always saying, 'Well, this might work on the next album'. The next album will not be all covers. If we do another album, and I am pretty sure we will, because Johnny wants to do it, I want to do it. You know, I think that album will be all new material because Johnny is always writing, I’m always writing, Joe’s always writing, so we are going to have a glut of material." Lo and behold, on October 30, 2017, the Vamps began to announce the first official tour dates for 2018. 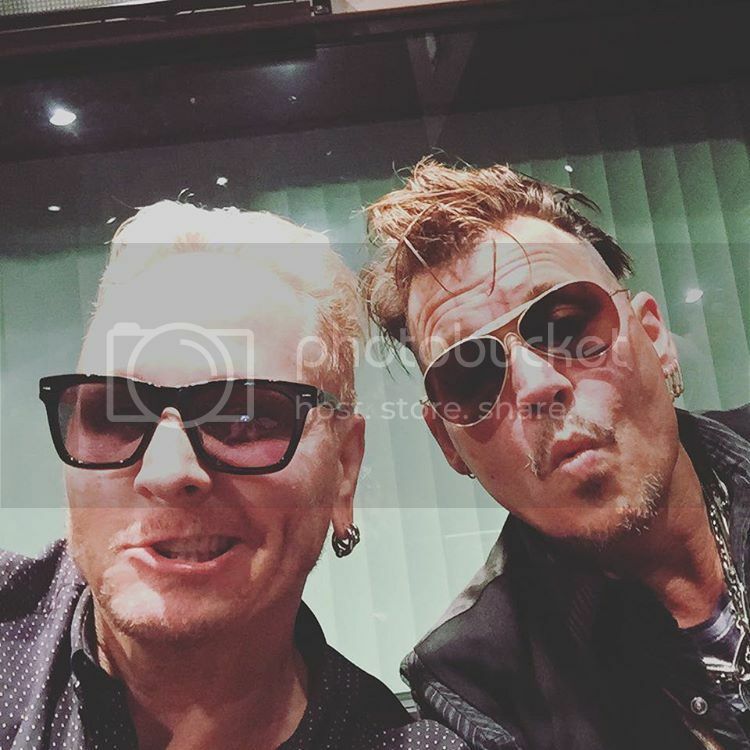 In February 2018, Matt Sorum tweeted that he would not tour with the Vamps this time, as he would be concentrating on his main band, the Kings of Chaos. 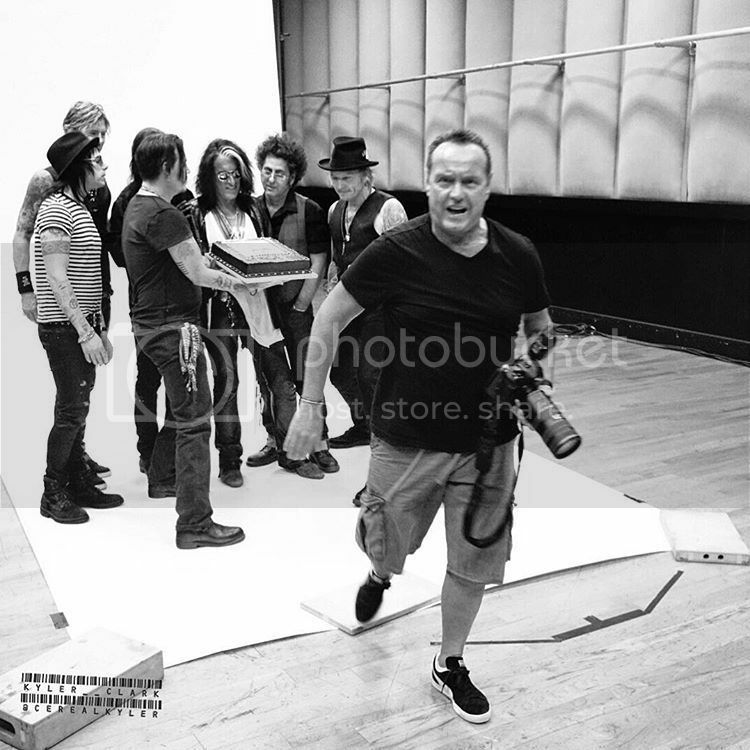 Since Robert DeLeo was busy with Stone Temple Pilots, he would also miss the tour, as would Bruce Witkin. 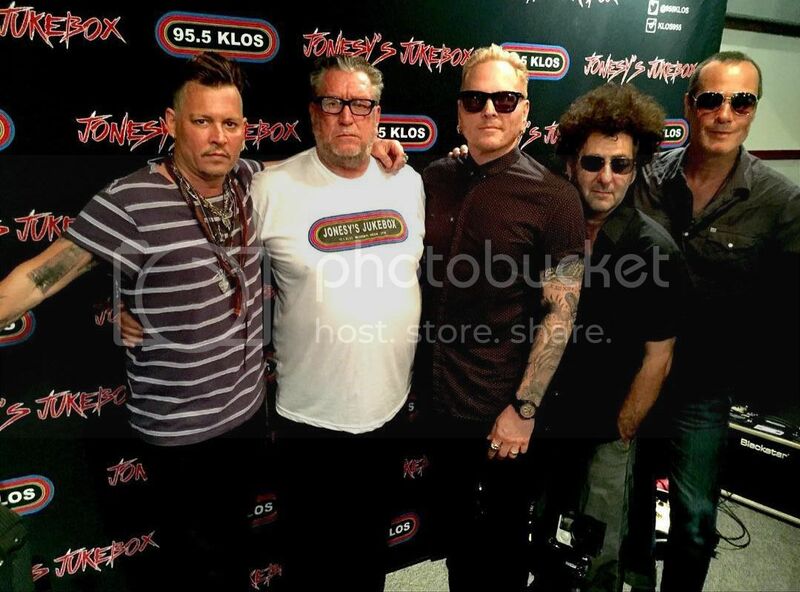 In May, the touring band was officially unveiled as Johnny, Alice, Joe, Tommy H., along with "newcomers" Glen Sobel (Alice Cooper) on drums, Buck Johnson (Aerosmith touring band) on keyboards, and Chris Wyse (Ace Frehley, The Cult) on bass. The Vamps played 28 shows, beginning in Verona, NY and ending in Rome, Italy. Several new songs were introduced to the setlist, including original songs I Want My Now, Boogieman Surprise, and Bushwackers. The biggest surprise of the tour was that Johnny actually stepped up to the mic to sing lead on two songs, People Who Died and Heroes. Heroes in particular became THE highlight of the Vamps' 2018 set. 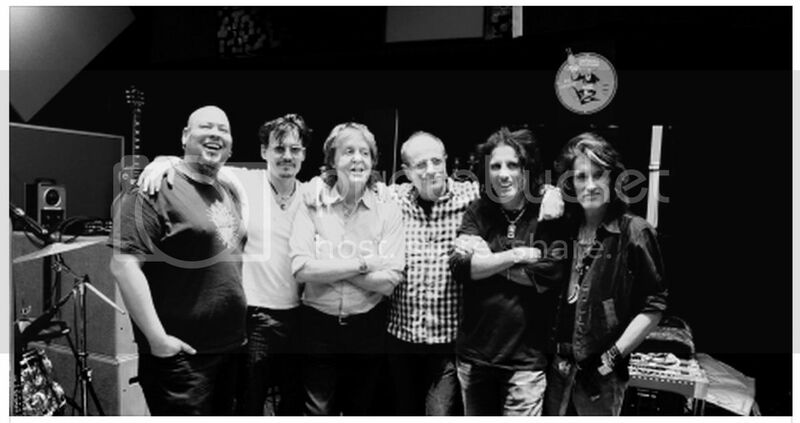 In late February and early March, Tommy Henriksen and Joe Perry tweeted about recording tracks for a future Hollywood Vampires album. 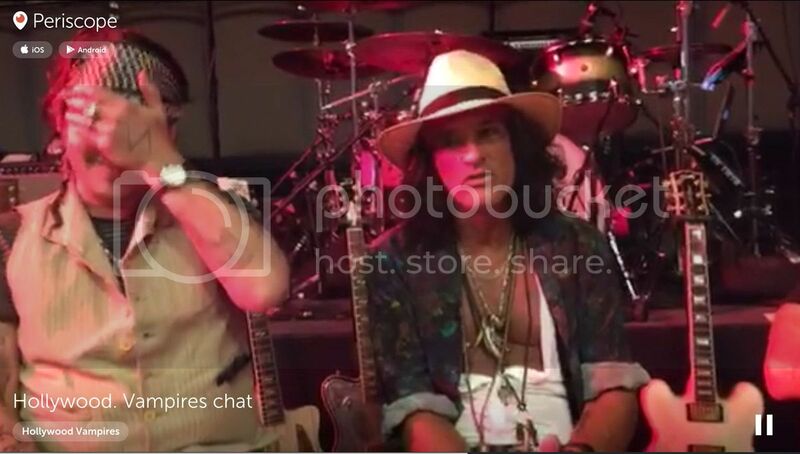 Ross Halfin also shared a photo of Johnny and Tommy Henriksen with the legendary Jeff Beck-- is it possible that Beck will guest on the album? Recording resumed in late April and May, and even included at least one session in Berlin during the tour. In June, Tommy H. posted an Instagram dishing about the album. Twenty songs were recorded over 41 days, with Joe and Johnny taking on the guitar parts, Glen Sobel on drums and Tommy on bass, with a few other musicians involved. New band members Buck Johnson and Chris Wyse added some parts (probably in Berlin). For the most part, the recording was straightforward without too much instrumentation or sampling. Sounds fantastic- can't wait to hear ir! 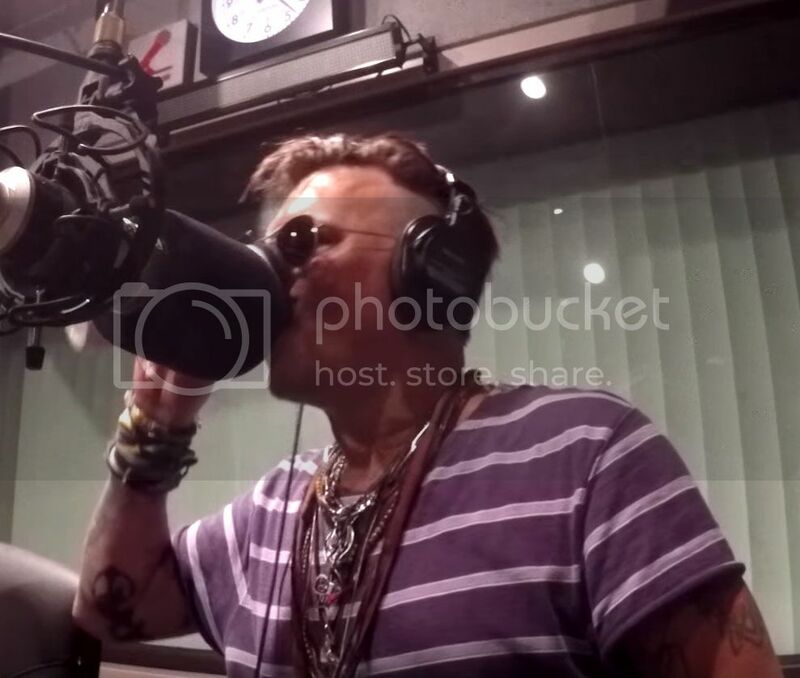 Stay tuned here on Johnny Depp Rocks for news about the album release! Have any corrections or additions? Please at info@johnnydepprocks.com Photos would be especially appreciated!